NEW BRITAIN - The death of a loved one was the reason five people partnered to open a new business. 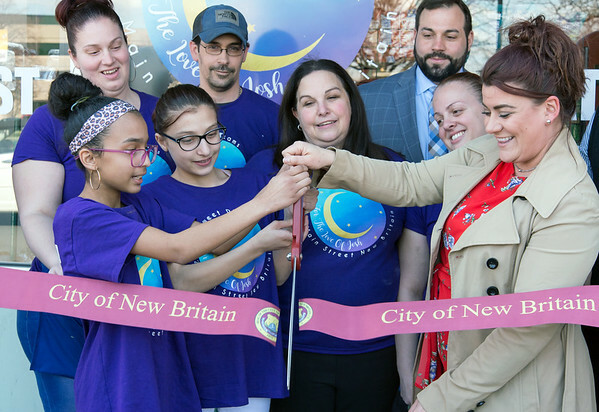 City officials, the Greater New Britain Chamber of Commerce and the community assembled downtown Wednesday to celebrate the grand opening and ribbon-cutting ceremony at Sweet Dreams Deli and Bakery at 2 Main St. 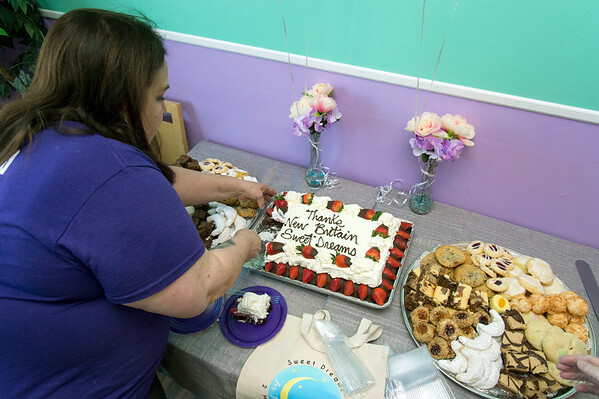 The bakery, which had a soft opening on March 18, opened in memory of Josh Asadow, 28, who died of cancer in March 2017. “We did this for the love of Josh because we all love Josh,” Gail Asadow, his mother, said. The new business is a partnership of Kit Gillette, Hope Gregory, Gail Asadow, Chris Baehr and Mark Asadow, Gail’s father. Gillette and Gregory are sisters who decided to take on the new business venture in memory of their good friend. The sisters said they get customers often coming from the courthouse. Popular items so far have been stuffed peppers, carrot cake, tres leche cake, zucchini bread, chicken salad with cashews, and macaroni and cheese. Mayor Erin Stewart wished the business a lot of success and called it a “prime” and “welcoming” spot. Kyle Kummer, Greater New Britain Chamber of Commerce interim president, was also on board at the celebration. Alderman Daniel Salerno said the business is in a great location because of its proximity to the court building. Sweet Dreams Deli and Bakery is the third food establishment to try the 2 Main St. location since Café Beauregard closed in February 2017 after just over three years. Hardware City Café opened a few months later, but shut down in September 2017. KC’s on Main was at the location from March 2018 until the end of December 2018. The Asadows, Gail and Mark, also owned the Super Natural Market and Deli in Bristol for 37 years but it went out of business in June 2018. According to Gail Asadow, three years before Super Natural went out of business, the family bought a building and retrofitted it. Josh died in March 2017, and Asadow’s mother died in February 2018. As the family was suffering the personal losses, the business also suffered, which is why they ended up shutting it down, Gail Asadow said. According to several Facebook comments on a previous story about Sweet Dreams Deli and Bakery, the Asadows allegedly left some employees unpaid when they shut down Super Natural. While some comments supported the business, others accused the Asadows of questionable practices. When the weather warms up, Sweet Dreams Deli and Bakery owners plan on opening space for outdoor dining. The bakery is open 6 a.m. until 4 p.m., Monday through Friday. Posted in New Britain Herald, Business, New Britain on Wednesday, 3 April 2019 20:58. Updated: Wednesday, 3 April 2019 21:00.